Salespeople have been told to talk less and listen more. In this way they can gain a better understanding of the needs of their customers and prospects. That means salespeople are arming themselves with more and better questions aimed at qualifying the prospect, understanding his needs, eliciting information regarding the buying process, the budget, etc. However, like any technique that is overused it can become ineffective, even dangerous. This is particularly the case where salespeople have an unrealistic expectation as to the number or type of questions they can ask at early stages of the relationship with the prospect. To Ask or Not To Ask, That Is The Question! Just how many questions can you answer on an initial call, either by phone, or face to face? To this question most sales people say. Are these numbers right? Well they seem fair, but perhaps talk of numbers misses the point. It is not just how many questions are asked, but what is asked, how it is asked, when it is asked, and most importantly why it is asked. Why Buyers Are Weary of The Seller’s Questions. One thing is certain buyers are increasingly weary of salesperson’s questions. That is a good place to start with a word of warning – when buyers hear questions they fear closing. So, salespeople must question carefully. 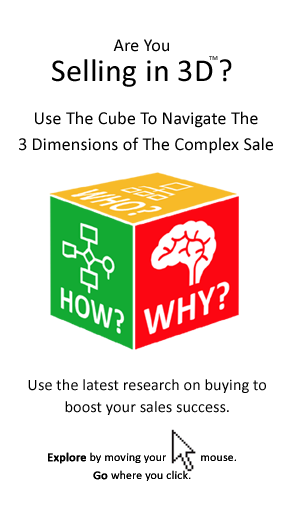 In particular buyers are weary of questions designed to: box them buyer in, to prequalify them, to uncover and accentuate pain, to hastily pin-point a solution, or create tension for change. Buyers are right to be reticent in answering questions, after all information is power and by asking questions the salesperson is in effect looking to share the buyer’s power. Take for example, one sales methodology, employing what it describes as the ‘Progressive Questioning Control Technique’. 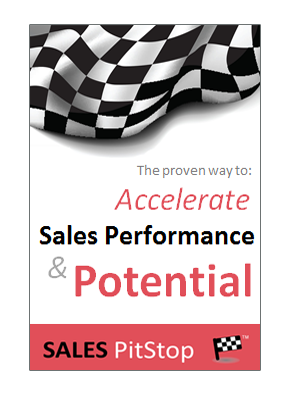 In the use of questions to control the buying process the salesperson must exercise great care. So question with care and ask questions that show that you care. Sales people must be careful about asking questions that are inappropriately; invasive, and undiplomatic, or direct. This is principally a factor of the timing. Just as in telling jokes, timing is essential to asking good questions. Even good questions asked in the wrong manner, or at the wrong time, can make a bad salesperson. Why is this important? Well, inappropriate or simplistic questions highlight to the buyer a deficiency of knowledge, interest, empathy, or understanding on the part of the seller. The questions depend on the stage you are at. Asking the wrong questions at the wrong time can present problems for both buyer and seller. With this in mind we here is a summary of some of the questions that are relevant at the different stages of the buying cycle (note we use the term buying cycle as opposed to sales cycle). Should we be in contact? Do they fit the profile? What needs might they have? What information do they find useful? Is this of interest? What else might be of interest? Should we engage (can we help)? Who else should we engage with? What is the need? What is the ideal solution? Who is the ideal supplier? How and when will the decision be made? Is there a budget allocated, etc? What is the business case? Is it compelling? What are the costs, benefits, risks and constraints? How are we impacting on your business? Will you recommend us to others? Can we help you tell the story of your success? Is there a Universal List of Questions? Well, no. just as there is no universal sales script, at least not an effective one. Anyhow it is less about the questions than the consultative process and that must be tailored to the client and his, or her specific situation. The main point to be gleaned from this table is that there is no universal list of questions. The questions asked depends on the stage that you are at with the prospect. Thinking this way is very important. Let’s take an analogy. Imagine asking how much a person earns on the first date? That is a question for the 5th, or 6th if even that. Not for the first time buyers are advising us as salespeople to slow down. What is the objective of the questions? Another word of caution, don’t spend precision time with the prospect gathering information (e.g. number of employees, product range, etc.) that can be gathered in other more efficient ways (such as the company’s web site). Similarly, limit the time spent on form filling type questions, as opposed to build and demonstrate understanding, interest or empathy. That is the questions of a salesman, as opposed to a consultant, advisor, or expert. Earning the Right to Ask Questions. Remember the buyer owes you nothing, and that includes answers to your questions. The sales person has to earn the right to ask questions and build the trust that will enable buyers to answer freely and in detail. How to do this? Well, by focusing more on how you can help and in particular the information you can share, rather than the information that you want. In other words the salesperson who shows up at a meeting with a standard product led sales pitch and a list of questions to determine needs and facilitate his, or her sales process prequalification will be seen by buyers as self serving and worthy of being left waiting in the hall. Clearly buyers have preference for dealing with the salesperson that has relevant insights, experiences and ideas to share. At the early stage of the relationship, salespeople must place more emphasis on the information you give and less on the information you want. Questions for Early Stage Meetings. The greatest challenge salespeople seem to face is in respect of questions to be asked in early stage meetings. This stems from the fact that salespeople are trying to achieve too much in their initial customer encounter. They are aiming, somewhat unrealistically, for the one meeting qualification and even close. However, the salesperson’s rush to elicit needs, propose a solution and prequalify the opportunity is not shared by the buyers. As we have said elsewhere salespeople are having to cut back on their expectations and slow down to the speed of the buyer. • Do you think this (insight) is relevant? Have you seen this trend yourself? • Who does it affect in your business? How does it affect them? • Is this something that you would be interested in exploring a little more? What aspects of it in particular? • How important do you think this could be? Do you think it could be a priority? For when? • Other companies have faced challenges in implementing (budget, time, other priorities, etc.) do you think these would apply here? • Has this issue been examined before? If ‘yes’, What was the outcome? If ‘no’, is there a reason why this issue has not be address before? • What would you like to do next? Is there anybody else that would be interested? Clearly, this is quite a leap from the traditional Budget, Authority, Need and Timing questions and prequalification that has traditionally been employed in a time of buoyant demand. We are not saying that these are no longer relevant, we are saying that by necessity they must be employed rigorously to real sales opportunities not to early stage conversations. It is time to get real about prequalification. In a market with more supplier than buyers, it is the latter that is prequalifying the former and not the other way around. During the boom years salespeople had justification and indeed pressure not to waste time selling to those that did not have a budget. Today they don’t have a choice. They have to sell to all those that could represent potential customers, regardless of whether they are ready to buy next quarter, or 3 quarters out. Rather than being focused on prequalification – have they got a budget to spend? – the focus is on answering the question ‘Should we be talking?’ and ‘Is this of interest.’ Of course, when a potential sales opportunity emerges and the process of engagement begins then a very different set of questions are required. Sellers Are from Mars and Buyers Are from Venus, Right?